Do your employees crave and demand more communication? Does it seem like your message is not getting out? A lack of alignment between the business strategy and what your people are doing? Do your employees come to you and ask relatively simple questions that should already know the answer to? 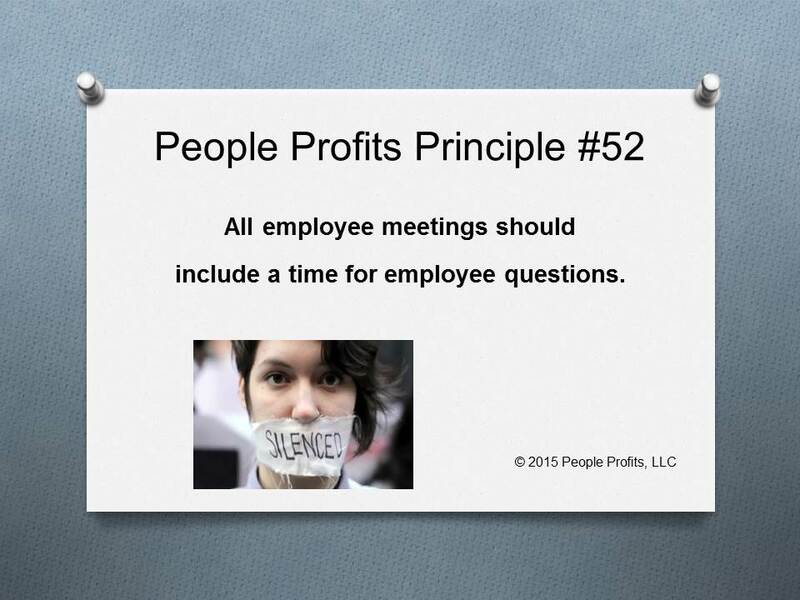 People Profits has seen companies that have "employee meetings" but employee questions were not allowed. If you do not allow it - that is a clear message that you have sent them and you will not like the resulting consequences. The questions may be difficult to answer and in some cases you can not answer. However, the power that the employees feel by having the opportunity, even if they get a none answer is better then being silenced. If you can not immediately answer then followup. Huge opportunity for engagement.